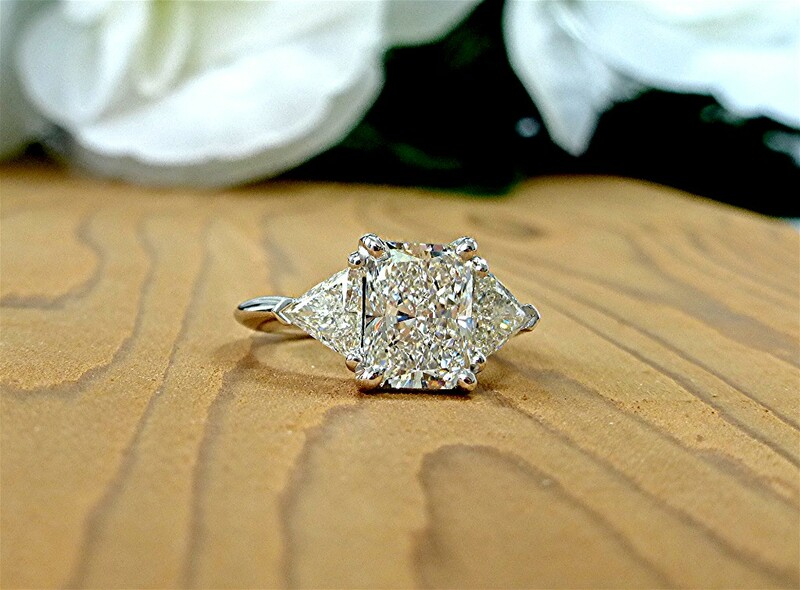 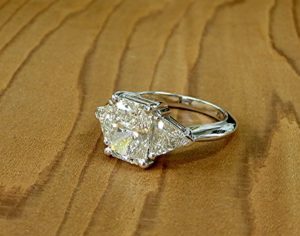 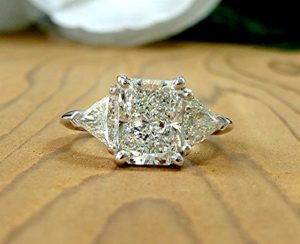 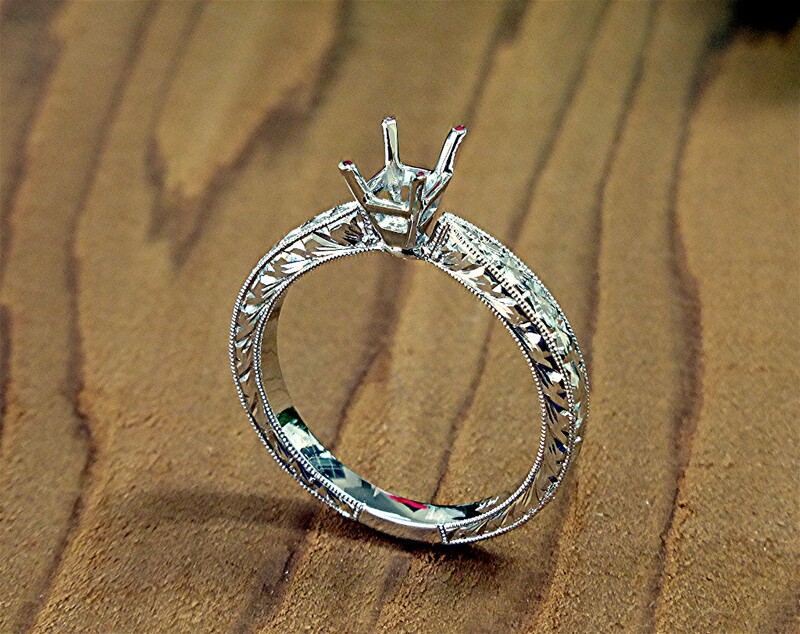 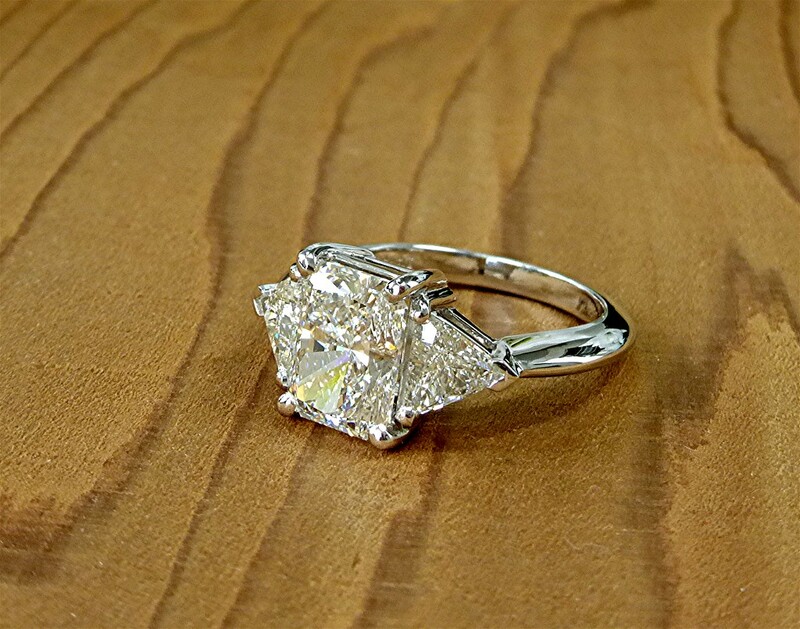 Beautifully hand engraved 14k white gold for emerald cut center. Center head can be changed for any other cut or size . 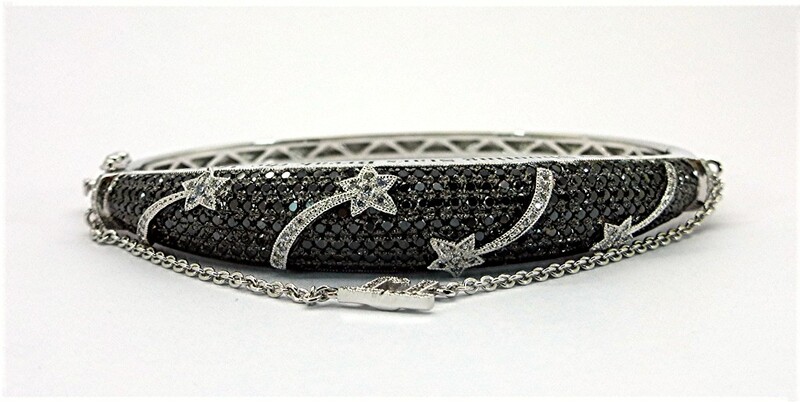 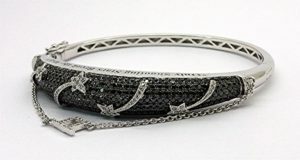 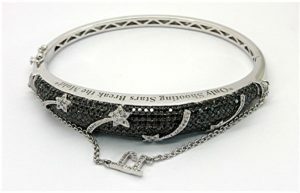 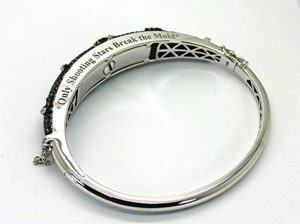 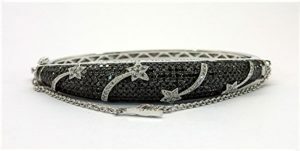 This bangle is made of 14k white gold contains 260 black diamond, 3.27carat, and 72 white diamond, 0.42 carat, all pave set. An ash holder capsule, with a screw cap, is build under the bangle. 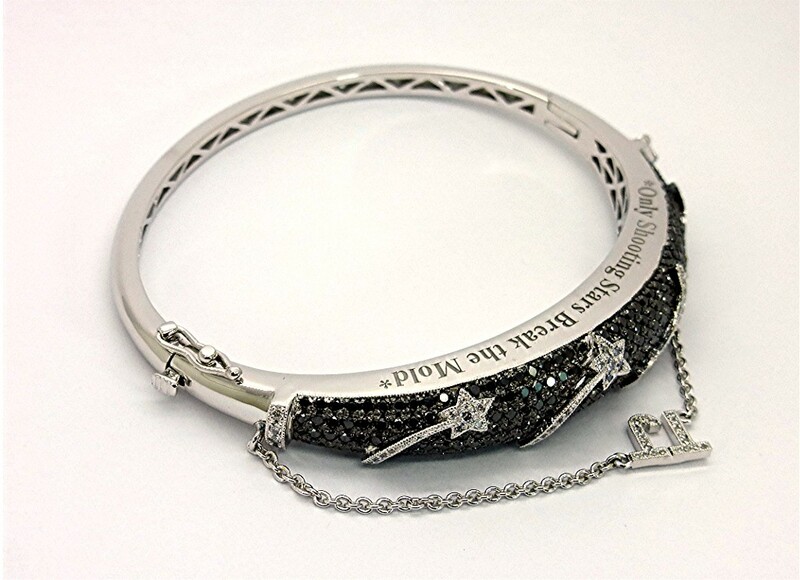 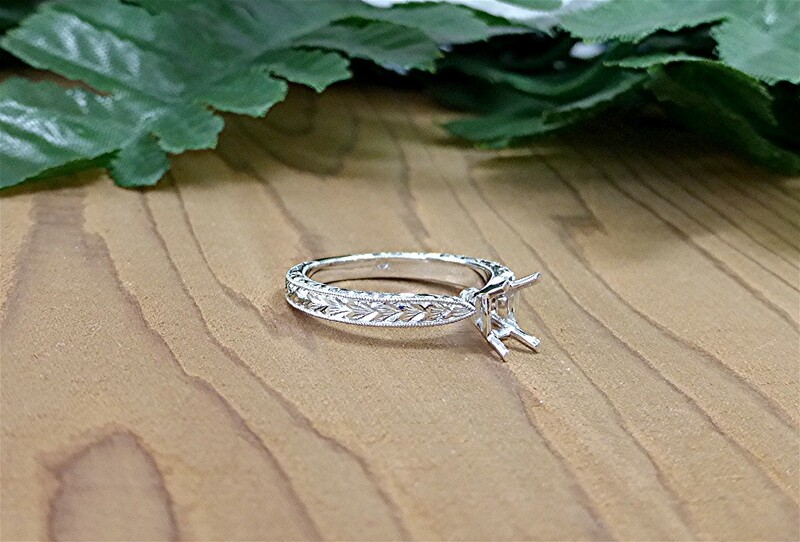 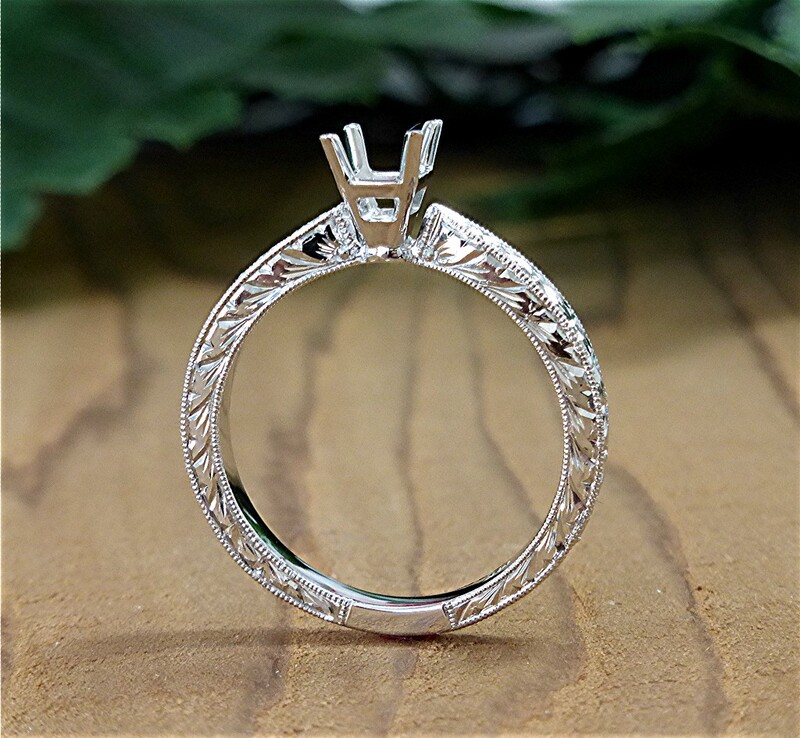 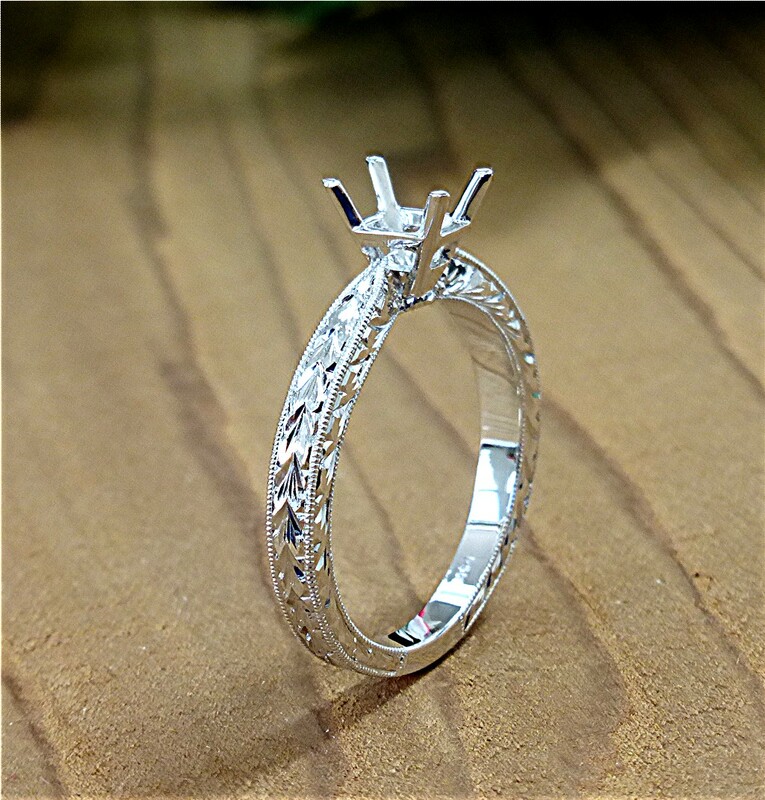 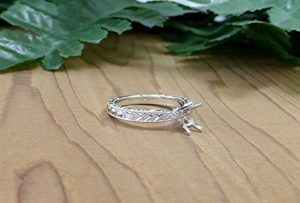 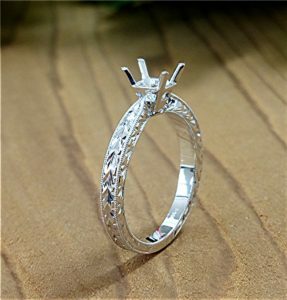 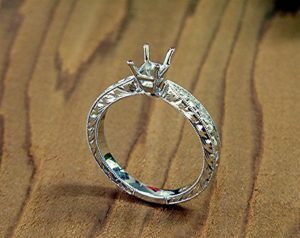 The lost loved one diamond initial, shooting starts and the engraved message are all incorporated to the bracelet design to treasure the memories. 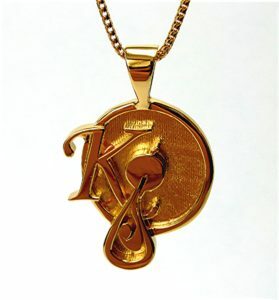 This is a customer logo which copied for a pendant. 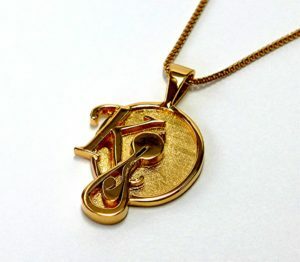 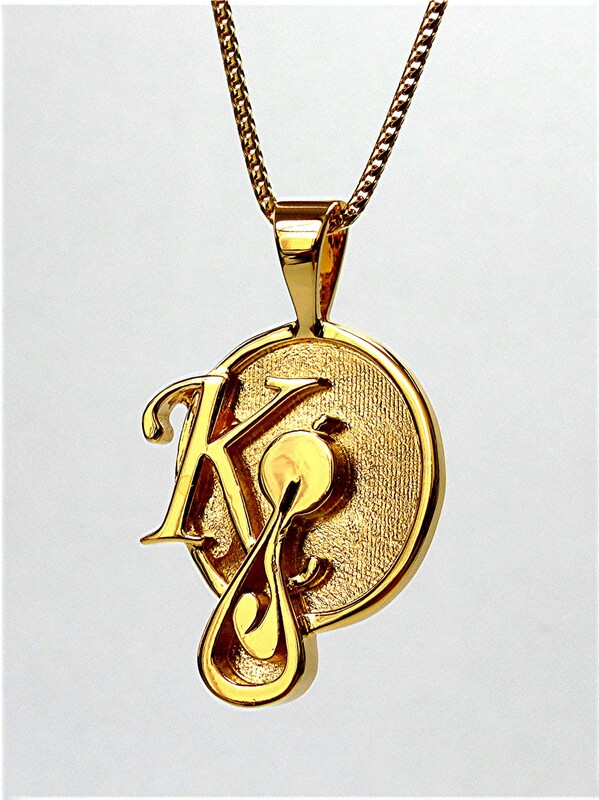 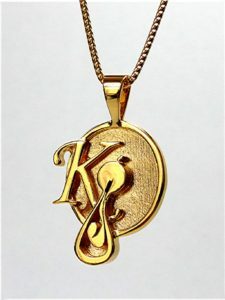 Made in silver and gold plated in 18k gold.